Alfred A. Knopf Books for Young Readers, 9780375868603, 240pp. A visit to Grandmother's house has never been so frightening. . . . 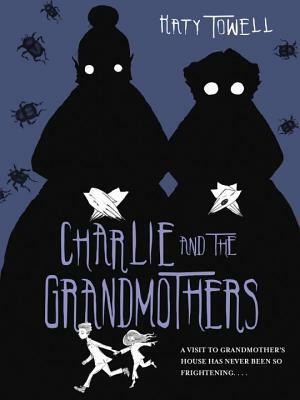 Upon their arrival, all of Charlie's concerns are confirmed, as "Grandmother Pearl" quickly reveals herself to be something much more gruesome than even Charlie's most outlandish fears could have predicted. He and Georgie are thrust into a creepy underworld created from stolen nightmares, where monsters disguised as grandmothers serve an ancient, evil queen by holding children captive as they slowly sap each one of their memories and dreams. Katy Towell is an artist, creative director, and writer in Portland, Oregon, with dreams of one day being the scary old lady in the house about whom all the neighborhood children tell ghost stories. She is also the author of Skary Childrin and the Carousel of Sorrow, and is the creator of the Childrin R Skary website. Learn more about Katy and her books at skary.net or on Twitter at @katytowell.